October is time for Oktoberfest, a festival to celebrate German culture as well as German cuisine like pork hock, schnitzel, sausages and beer! 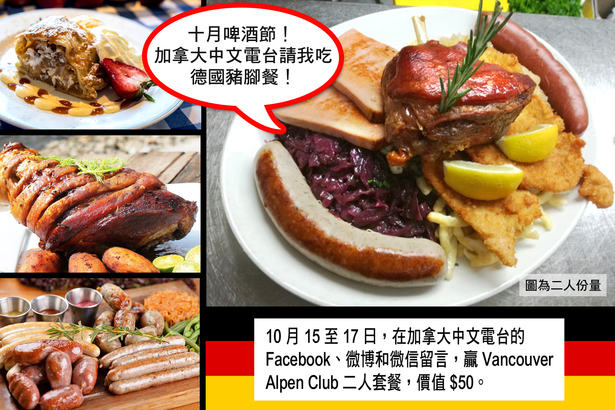 Fairchild Radio is giving away a $50* gift certificate to the renowned Vancouver Alpen Club that can be used to redeem "Feast for Two" plus more. 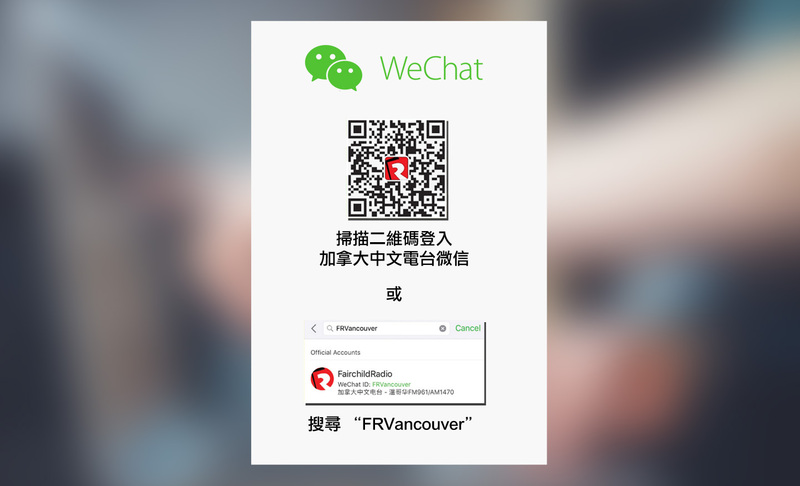 Simply leave a comment on our Facebook, Weibo and WeChat from October 15 to 17 for a chance to win this delicious meat-fest!